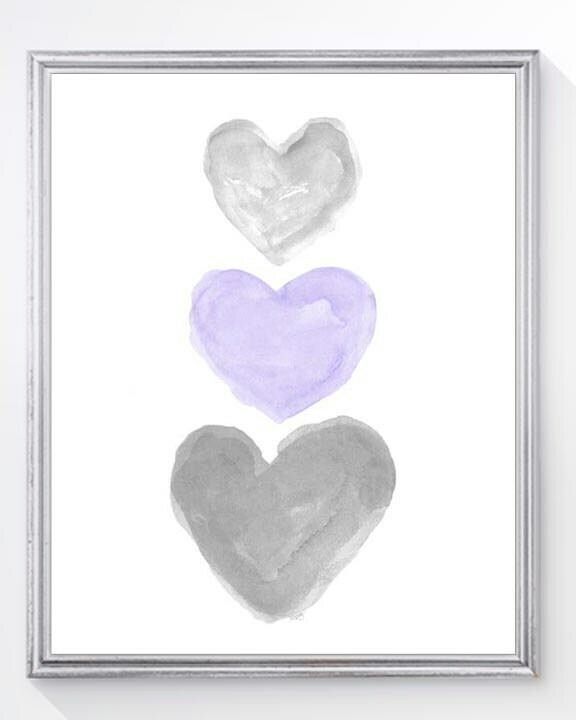 A set of 2- 8" x 10" coordinating art prints perfect of your gray and purple nursery. 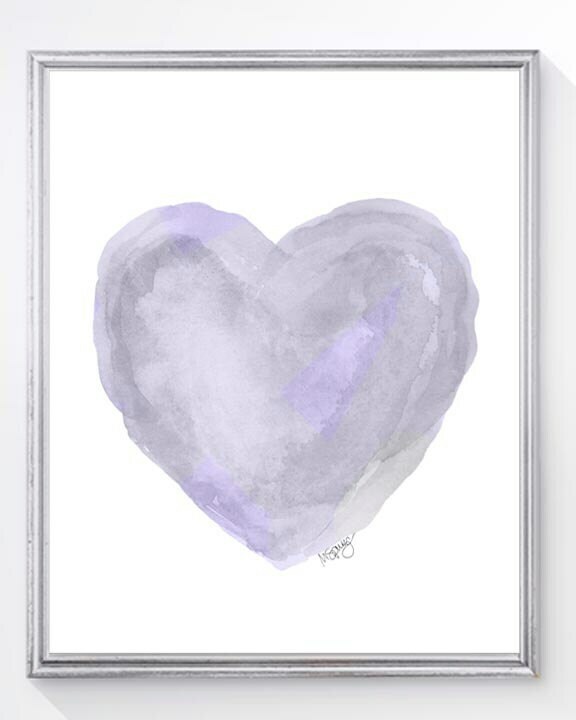 Each recreated from my original watercolor heart paintings. 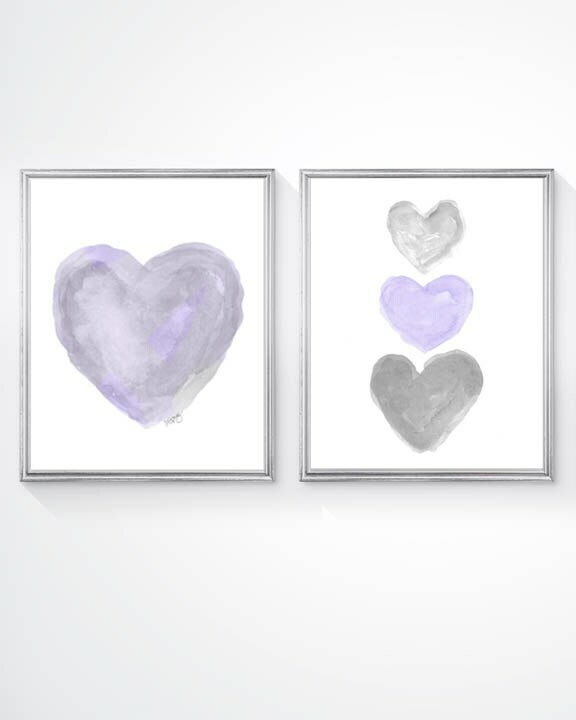 These are adorable for my 3 year olds big girl room! Simple and tasteful...love! !